Meticulous market research doubles your chances of making a tidy profit from the wholesale goods you buy. Start off with a list of 5-10 different ideas. 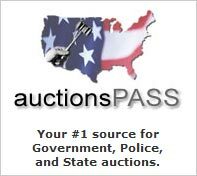 Then check completed listings searches on eBay to see what the item generally sells for and the sell-through rate for each one. Use Yahoo's free keyword tool http://inventory.overture.com to find out how many people are searching Yahoo for your product per month. You can double this figure for Google. Add the numbers together. If there are ten thousand or more searches per month for an item, this indicates a healthy market. One big reason why people fail at the wholesale game is that they don't do the numbers. In other words, they don't treat wholesale like a real business. To accurately discover your true profit potential on an item, you need to add the shipping cost and insurance, eBay fees (or equivalent for other advertising), Paypal and/or credit card fees (these can be a real profit killer), packaging costs and labor involved packaging, and any storage costs to the cost of your item. Getting caught out by scammers is a common stumbling block for people new to wholesale. If you are searching for suppliers off your own bat (rather than using a wholesale directory like SaleHoo), it is CRITICAL to check authenticity before making a purchase. Check for a legitimate contact telephone number - this will involve ringing the number. Do not accept a mobile phone number alone. All real companies should have a land line number. Go to http://www.whois.sc/ and search for the name of the website. A legitimate company will have a domain expiration date in several years time. Most legitimate companies reserve their domain names for 3-5 years or more at a time. AVOID suppliers who won't agree to use secure payment methods such as Escrow.com, Credit Card and Paypal Verified. Still uncertain? Ask other sellers what their experiences have been with the company you are interested in on eBay forums. Chinese suppliers are an essential source for anyone wishing to make money selling online. Manufacturing costs are currently extremely low in China, thus it is the secret to gaining a competitive edge. Dealing with China does have risks, but these can be alleviated if you place a small order first, use secure payment methods, get shipping insurance for 110% of the cost of the items, and use suppliers with a good reputation. Always obtain the reasons for liquidation and closeout sales before you buy. Liquidation and Closeout sales can be a fantastic source for cheap products, but you usually have to buy by the pallet load and these can sometimes include broken or returned goods that aren't in saleable condition. To be safe, ask specifically whether broken items and returns are included before you buy. Shipping economically is critical to importing success. Profits can easily get swamped in shipping costs, so take time to get a good deal on shipping. If possible, negotiate CIF (Cost, Insurance & Freight) or DDP (Delivery, duty paid) shipping terms with your supplier as this takes much of the risk - not to mention organization - off your shoulders. FOB (Freight on Board) is the most common shipping term, but don't be afraid to negotiate for better. 7. Drop shipping - can you really afford it? Drop shipping sounds great in theory - someone taking care of packaging, wrapping and postage - but it can be difficult to profit from this method. Think about it, drop shipping can add another $2-10 to your costs - sometimes even 10% of the cost of the item. By the time you add in eBay fees and any other costs, you may find it is not worth it. Asset management is the most important consideration when locating warehousing to store your items. Believe it or not, items can go missing while in storage, causing massive disruption for you. When comparing warehouses, ask questions specifically on how you will authorize the release of stock (by phone or fax? ), what will happen if you need to cancel an order, frequency of damage claims, dust management, and whether there is an area you can use to photograph items. It's a fact - eBay powersellers are able to command higher prices for their items than ordinary eBay sellers. To get the best profits on your wholesale items, you need to aim to get and maintain powerseller status. 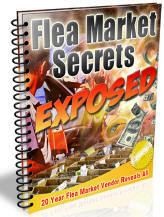 The way to increase profits from wholesale is to build your own website and/or open an eBay store. This allows you to cross sell items plus it also makes it easier for people to find what they are looking for. For example, if you sell shoes, then customers can easily navigate to browse all black shoes in size 9 and so on. Always include a sentence at the bottom of your descriptions encouraging visitors to check out your other listings - most people will. If you are looking for genuine and trusted wholesale suppliers then look no further than SaleHoo! SaleHoo's directory contains over 4000 drop ship, wholesale and closeout suppliers that are independently reviewed and rated by eBay Powersellers and Industry experts. SaleHoo also purchases off them and reviews each supplier in depth afterwards.